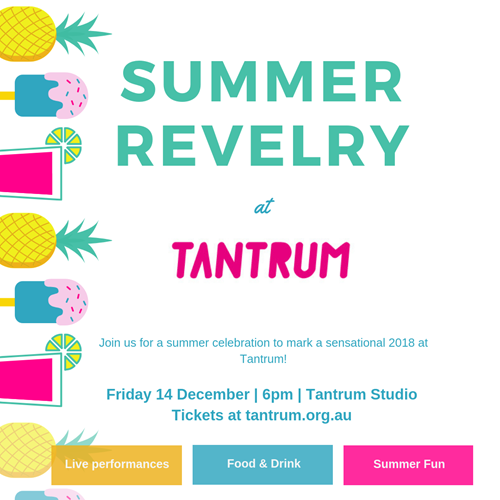 Join us for a summer celebration to mark a sensational 2018 at Tantrum! A not-so-silent auction & more! Your ticket includes a punchy beverage on arrival and street-food style dinner. Drinks and summer snacks will also be available to purchase on the night.